Until recently the painter Bruno Chérier was known primarily as the model, friend and confident of Jean-Baptiste Carpeaux (1827-1875), his fellow artist from Valenciennes (fig. 1). Thanks to a grant from his native city in 1837, Chérier was able to attend the École des beaux arts in Paris as a student of André Jacques Victor Orsel (Oullins 1795 – 1850 Paris) and Alphonse Henri Perin (Paris 1798 – 1874 Paris), both disciples of Ingres. In fact, Chérier assisted Perin in the decor of Notre-Dame de Lorette, Paris. After a trip to Italy in 1847, Chérier returned to Valenciennes in the spring of 1848. 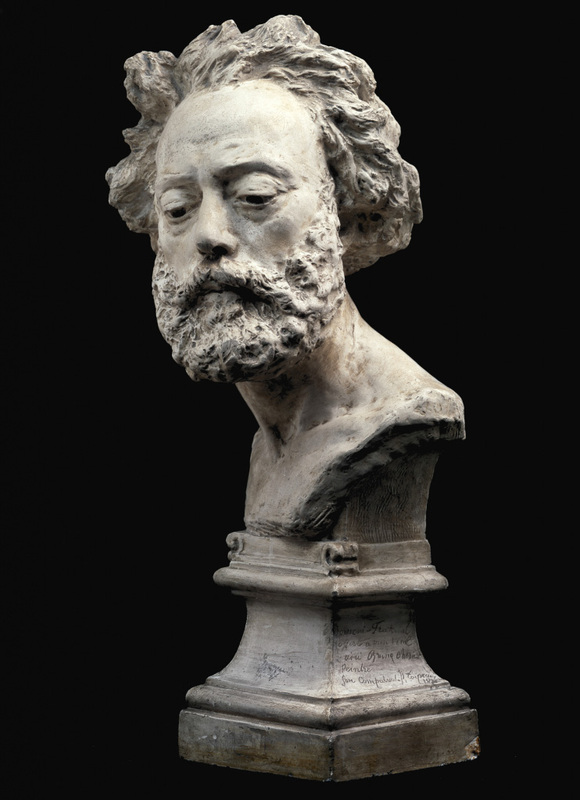 Shortly thereafter, he and his friend Carpeaux collaborated on two projects--decors for the dining room of Jean-Baptiste Foucart (1823 - 1898) in Valenciennes and for the Church of Monchy-le-Preux in Pas-de-Calais. In 1852, at the suggestion of Alexandre Denis Abel de Pujol (Valenciennes 1787 - 1861 Paris), Chérier was named professor of drawing at the École academique de Tourcoing. This nomination allowed him the economic freedom to establish his career as one of the most important religious painters and decorators in northern France. Chérier's most fully realized works include Saint-Martin d'Esquermes in Lille, Saint Christophe de Tourcoing, Notre-Dame de Fines and Notre-Dame de Loos, both also located in Lille. Sadly most of these projects were destroyed in the two great wars of the first half of the twentieth century.